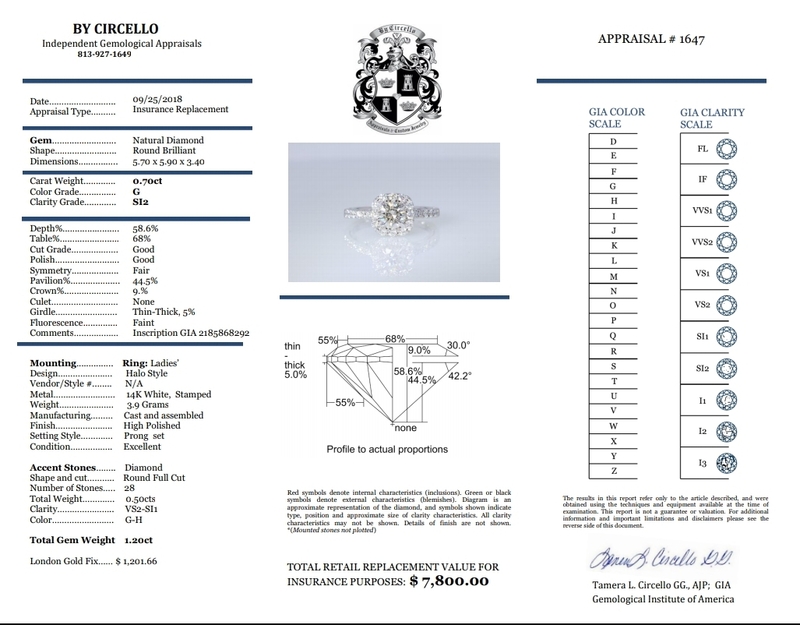 0.70CT Round Brilliant Diamond with near colorless G color(super white) and eye clean SI12, GIA certified. 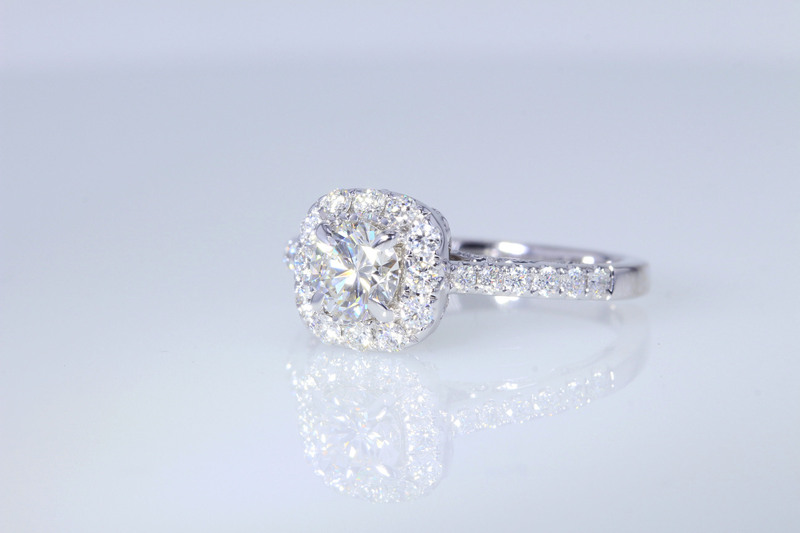 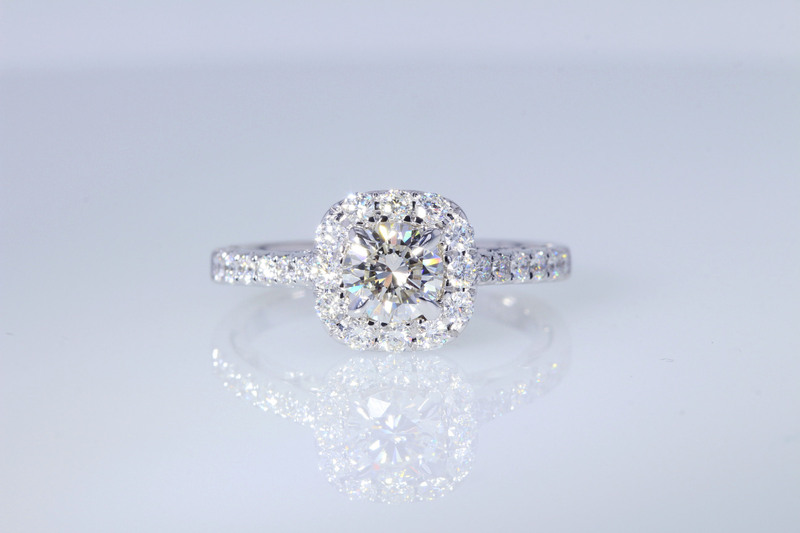 The fire and brilliance this diamond shows is amazing. 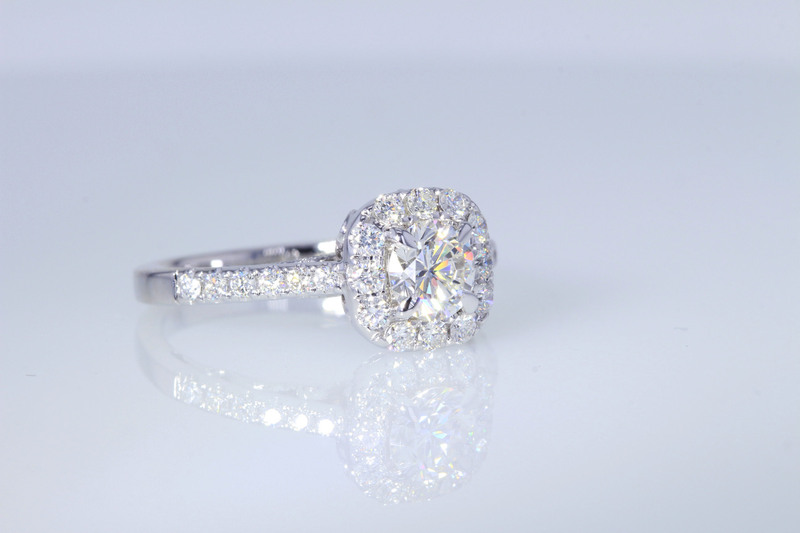 Diamond was just set in this brand new 14kt white gold halo setting with an addition 0.50CT of full cut round brilliant diamonds for a total carat weight of 1.23 Carats.